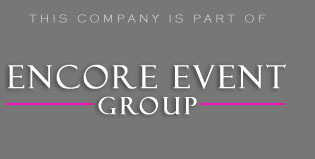 Encore Event Group helps clients plan hundreds of events each and every single year. This also means that we have the flexibility to accommodate any reasonable budget. No matter if you are planning a small party, high school prom, or a larger wedding reception, Encore disc jockeys have the skills and resources available to exceed your expectations. Our goal is to neither over or under quote you. We understand you want to get the most for your money. Our approach is to have a face to face meeting to find out exactly what you need. Once we understand are your goals, we can give you price quote. One of the benefits of hire Encore for your celebration is that you can choose from multiple event services. In the past, clients would have to book with several vendors. This means more meetings, more contracts, more payments, and more stress. Just think about how convenient it would be to have all your details managed by one company? Since we have dozens of packages solutions, this means we have a greater chance of working within your budget. One of our most popular packages includes our color changing photo booth. This is the ultimate experience for guests as they can actually take their image home with them. Besides keeping them involved, you can also receive a personalized scrapbook with all your photo booth shots. We will have a personable photo booth specialist attending to your guests for the duration of the rental. They are there to help guests in and out of the booth, as well as creating your scrapbook. With our touchscreen monitor, you have the option of color style on high quality photo paper. Not only do you get a custom photo layout, but your images will print in 6 seconds! All your photos will be given to you on a shiny flash drive, and we will even host those pictures online. Checkout our photo booth rentals here. At almost every event you will need a professional Emcee to coordinate and program the music. Encore is here to help you with all your entertainment needs. This includes planning your event from start to finish. This is easily done with an online planning form. It is detailed and we will hold a pre-event consultation the week of your event to answer any last minute questions. Besides being able to build a custom playlist in the client login area, guests can access the music. This means they will also be able to give feedback on what they want to hear. This is a great tool, because we can establish rapport early with your guests months before the big day. Put the finishing touches on your party with our lighting and drapery services. Choose from a wide variety of decor and lighting effects. Most of our options are custom to specific themes. Some of these elements include water lighting, constellation lighting, breakup patterns, crystal chandeliers, name monograms, bistro lighting, table lighting, wall lighting, ceiling washes, follow spots, pinspots, and drapery treatments. 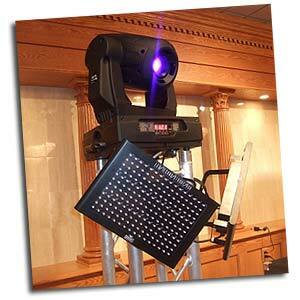 We can guarantee if there is something you want done with lighting chances are we photos of what it looks like. We are the pros, and know exactly what you need to make your event a hit. Besides working private parties, Encore has also had the pleasure of working with some of the most respected brands in the world. We want to share with you the same reason they choose Encore over the rest. If you haven’t done so yet, then please check your dates availability above or contact us toll free @ 877.643.8368. Let us help you turn a cookie-cutter event into something stellar. I was wondering how much it costs for a wedding reception of about 350 people. I am intrested in your DJ’s and would like to know the price. Thank you very much. Thanks for contact us Hannah. Please call us @ 877.643.8368. I would love to walk you through everything over the phone. Look forward to our chat!